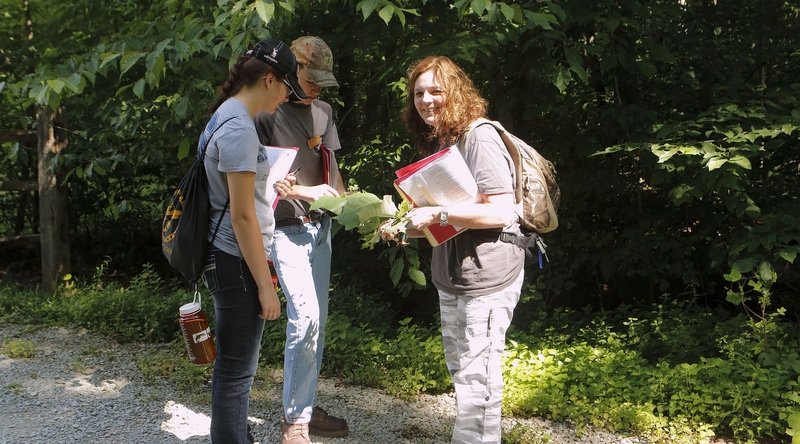 By participating as an Adult Mentor during an Academy field school, you can help nurture and develop Pennsylvania’s future conservation leaders. Network with Leading Experts in the Field – Engage with top conservation professionals, like former PA state bear biologist, Gary Alt, PA state wildlife vet, Justin Brown, and more! Each field school can accommodate four Team Leaders, each of whom will be part of a team consisting of five youth and one youth Assistant Team Leader (a student who has participated in the program in a prior year). Team Leaders will receive a scholarship covering tuition costs (includes materials, food, and housing for the week). We are looking for adults (21 years and older) who are passionate about the outdoors, wildlife, and conservation and who have a genuine interest in youth education. Teachers are encouraged to apply! March 1, 2019. Applications will be reviewed as they are submitted. Click here to begin the adult mentor application today. *click on the field school name to learn more; please note these dates reflect adult mentors arriving a day earlier for field school orientation. Field school offerings subject to change. QUESTIONS? Contact Program and Outreach Coordinator, Katie Cassidy, kcassidy@wildlifeleadershipacademy.org; (570) 939-5109.